They are the hands and feet for the doctors. This team is dedicated to their field in taking care of our patients as one of their own. They are always checking on the patients, taking vitals, medicating, administrating fluids, blood products, being a dental hygienist, lab techs, taking radiographs, assisting in surgery,filling medications request, taking history of patients, answering questions from clients, ordering drugs, ordering diets and so much more I could never list it all on this page. Each and everyone of our technicians play a vital role in the care of your pet. When you are visiting our hospital you will be amazed at their contagious smiles and the joy you see in their eyes as they greet you and your fur family member. Take a little time to let them know you appreciate the care they give your pet. I am a graduate of the Blinn program and worked in close conjunction with A&M Veterinary teaching hospital during my rotations. I have two associate's degrees and most of a bachelor's degree in general science. I have 2 personal cats in addition to my familial pets of 4 cats and 1 dog. I have worked for Stuebner Airline for 3 years after graduation and I love it. My hobbies are painting, drawing playing violin and reading. I have been working for Stuebner Airline Veterinary Hospital since April 2000, and very much enjoy working with animals and their owners. I began working in the veterinary industry in 1990 at 3 different hospitals. I also volunteered at a therapeutic horseback riding facility for 10 years. I went to college in Colorado where I grew up, and have a degree in Animal Science. My husband and I were married in 1991 and we have 3 dogs, multiple chickens, and a horse. We enjoy beekeeping, gardening, camping, fishing, hiking and other outdoor activities. Since I was a little girl I have always had a passion for animals. My first summer job at the age of 15 was with Winners Circle Enterprise, a riding school for young girls. Following that summer I was hired on as a kennel assistant with a local veterinary hospital. There I learned the ins and outs of what working for a veterinarian was all about, and I loved it! Fast forward to 2008, when the doctors at Stuebner Airline took me under their wings and gave me the knowledge and confidence that it takes to become a Vet Tech. To this day I still show up to work with the same excitement as if it were my first day! I have grown up in the Veterinary field, as it is the only work I have done. At 16 I was hired on at a single doctor practice and then trained to be a technician. I worked at the first clinic for 7 years starting as an assistant then up to leading our tech team and managing. I also worked in emergency medicine. As of the present time I have enjoyed working at Stuebner Airline Veterinary Hospital since 2016. I can't imagine doing anything else! I have also been married to my amazing husband Nick since 2015. We have 4 fur- babies together Bentley, Riley, Lint and Dusty. In my free time I enjoy photography, doing CrossFit, traveling, reading and just being at home with family and friends. Graduated from Tomball College Veterinary Technology program in 1992. Served in the U.S. Army from 1986 to 1996, in Military Intelligence. Have worked in small animal and exotic pet practice for over 20 years. Married to my Beautiful wife, Jackie since 2007. Have four children and one grandbaby and Minnie Pearl the Boston Terrier and Pixie Cisco the tiny cat. My name is Amber Stall. I have been apart of veterinary medicine since 2005. 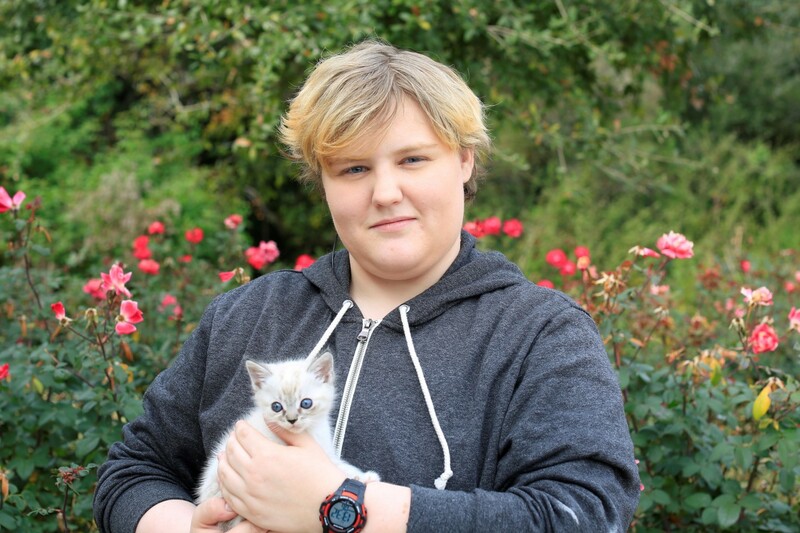 I have a strong passion and connection to helping people care for their animals. After all we are the advocates for the animals we care for. I have 2 dogs, a German Shepard named Appollo and a Belgian Malinois named Diamond, I have 1 cat named Elsie and I have a horse named Chloe. Along with my fur babies I have 2 beautiful daughter who are 8 and 10 (as of 2019). I enjoy riding horses, anything outdoors, and like most Houstonian I'm a huge Astros Fan! I look forward to getting to know and build that connection with your fur babies! Go 'STROS! 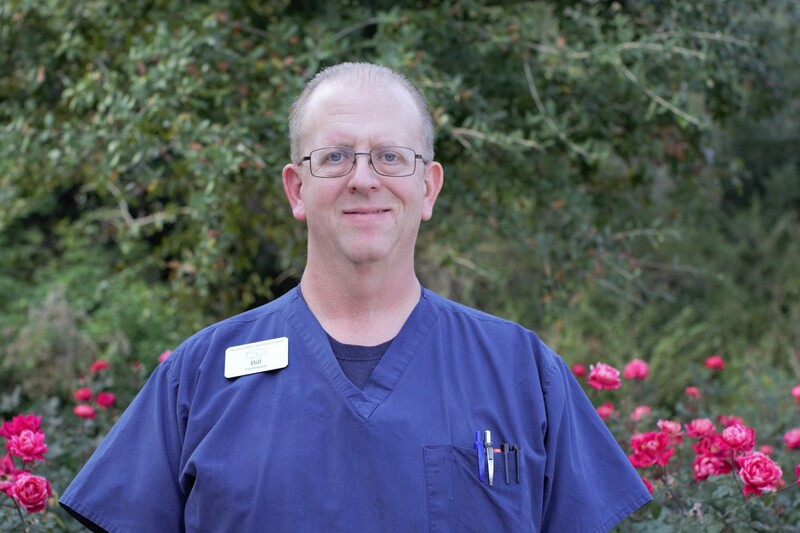 My Name is Jacke, I began working at Stuebner Airline Vet Hospital in the Fall of 2018. I have been associated with veterinarian medicine since I was 18 years old. I have worked both in general practice and emergency medicine, and I get my satisfaction knowing that I can help owners optimize the health of their pets. I enjoy cooking , traveling, volunteering and spending time with my beautiful daughter. I have a cat named Jackson and a Silky terrier named Sunshine.